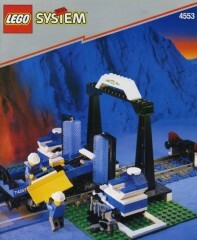 Today's random set is 4553 Train Wash, released in 1999. It's one of 8 Trains sets produced that year. It contains 185 pieces and 2 minifigs, and its retail price was US$30. It's owned by 831 Brickset members. If you want to add it to your collection you might find it for sale at BrickLink or eBay. Does such a thing even exist? I know Lionel did one of these as well, but I live right near the HQ and yard for Norfolk Southern's Pocahontas Division, and they do not have such a thing--I guess if the locomotive needs cleaning before they work on it, they pressure wash/steam jenny it off. The play value for kids, though looks like it's pretty good. They do exist! But I think the are normally more enclosed than that. Such a silly set that I wish LEGO would make. However it would probably need to include a criminal somehow in made today. This was such an odd, interesting little set. But I love that it comes with a carriage. That's play value, right there. Awesome. This would be great for spaceships. 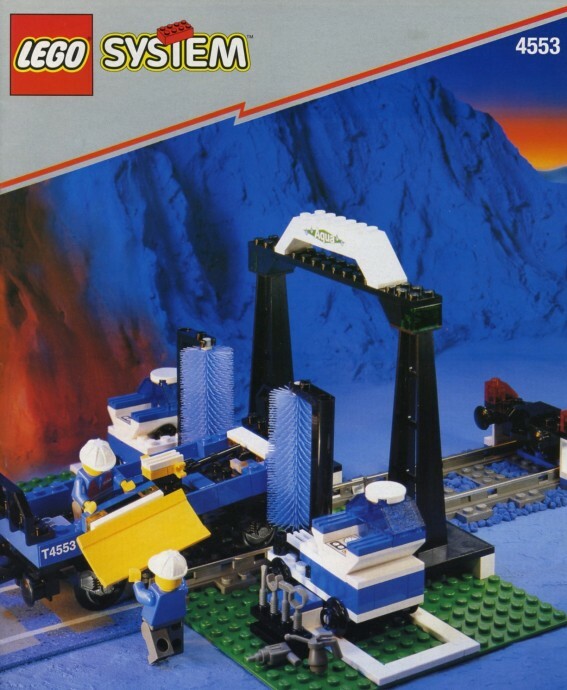 I love that they used to make such very specific sets - we never got into the whole Trains area of Lego in our house because we already had a Hornby train set, but I love all the stuff they had. This was one of the strangest sets I've ever seen. As one of the 831 members who owns this, I will say I bought this solely for the train car and the buffer stop. 185 pieces for USD$30??? Gulp. So weird yet cute at the same time. I suppose that's what LEGO's best at.